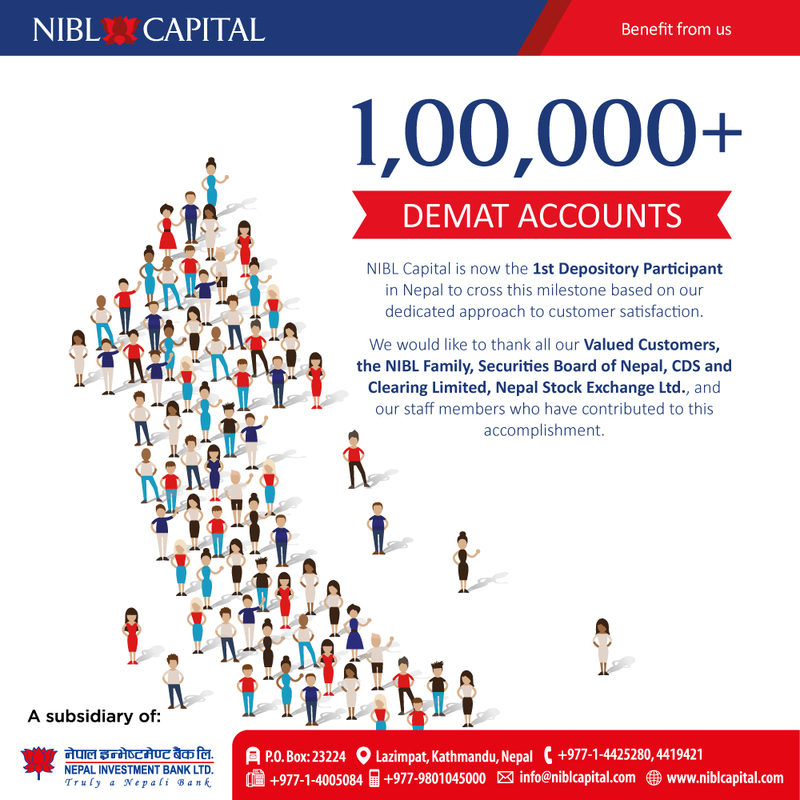 Kathmandu : NIBL Capital Markets Limited has achieved the mark to cross 1,00,000 Demat Accounts first among the peers. 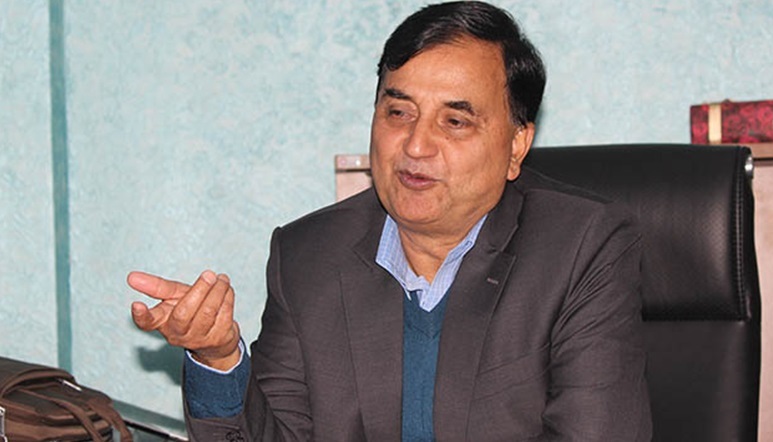 It is a wholly -owned subsidiary of Nepal Investment Bank Limited. NIBL Capital Limited has been functioning as a Depository Participant under CDS and Clearing Limited since 2014. NIBL Capital is also a licensed merchant banker and fund manager from the Securities Board of Nepal (SEBON). Functioning as ‘one of the leading depository participants with over 11.5% market share and has achieved the mark to cross 1,00,000 Demat Accounts first among the peers.’ the company has declared by publishing a press release. These beneficiary owners are facilitated through NIBL Capital and all branches of NIBL within and outside the valley. The company also has claimed that it is also the first one to launch comprehensive mobile application in Nepal’s Capital Market in the form of the NIBL Capital Mobile App that helps customer to access the details of DEMAT Accounts, Mutual Fund NAV, and allows customers to track their portfolio growth. Apart from facilitation as a Depository Participant, NIBL Capital also renders a comprehensive and wide range of services in the field of Registrar companies and currently serves over 5,72,600 shareholders of 30 registrar companies. In addition, NIBL Capital renders services in the field of fund management that include the NIBL Samriddhi Fund and the NIBL Pragati Fund, Portfolio Management Services, and Issue and Sales management services. Previous articleHyundai Launches Joyful July offer !